Vietnameses are working to improve the quality of the roads but at this moment some of them are still very bad. 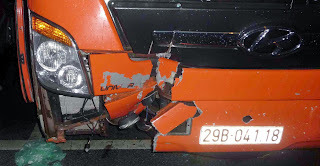 Furthermore, some buses don't respect the safety standards and some drivers are really crazy. 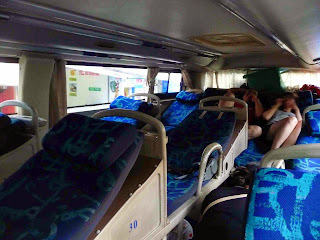 The aim of this article is to share with you my transportation's experience, which transport I took to travel from the south up to the north Vietnam, the companies I recommend and the companies you should not book with, and which means of transport to choose for which journey. The cheapest transport in Vietnam. If like me you travel on budget, the bus will be your main means of transport. The bus company I recommend : definitely TheSinhTourist. TheSinhTourist has their own buses. They are not more expensive than the others and you can find an office in every cities. Numbered seat, no overbooking, check in before departure, safety driver and buses on time. 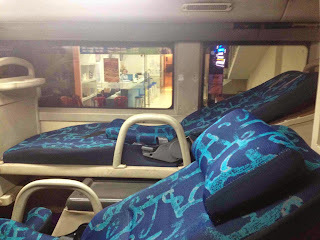 The Phuong Trang bus company (also named Futa) can be an alternativ to TheSinhTourist but the bus stops a lot of time on the way in some restaurants which belong to the company. So, the journey takes more time than expected. 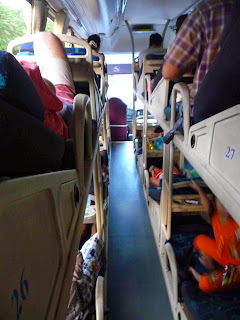 TheSinhTourist buses don't run in the north Vietnam! You'll find a TheSinhTourist office in Hanoi but you need to know that to go to Sapa or Ha Long Bay they don't have their own buses. They are just an intermediary who will sell you a ticket in a bus which belongs to another company. So no guarantee about security, over booking risk and driver. Furthermore, TheSinhTourist has been copied by heaps agencies in Hanoi. Be careful, the real TheSingTourist office is located 52 Luong Ngoc Quyen. Do not book a journey with Thien Ha Travel company, just run away! I wanted to save time and took a bus to go directly from Sa Pa to Halong Bay without stopover in Hanoi. Thien Ha was the only company which proposed this journey. Honnestly, this journey was a nightmare, the worth journey ever. 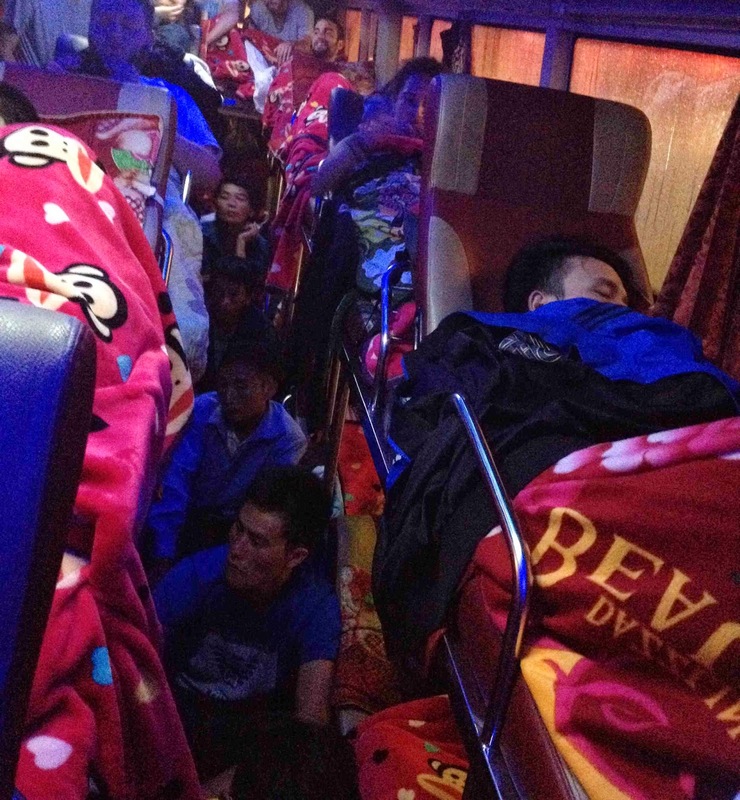 First of all, this company sells more tickets than spare seats; about 14 people didn't have sleeping seats (it's a lot). So they sat and slept on the floor. When the bus stops, it's difficult to go out cause you have to stride over people who are sleeping on the floor. Secondly, the driver stopped just once for toilet break (cause no toilet inside) and he stopped in the middle of nowhere. No toilet, so you have to pee with everyone, boys and girl, at the roadside. Finally, the driver was crazy and drove very very fast. We had an accident and he didn't even stop to check the damages. After this, the windscreen was cracked, the wiper out of order and it was raining cats and dogs. The driver kept driving very fast on a dirt road. We arrived to the destination 2 hours and half earlier than expected. Finally I arrived safe and sound but what the hell! If you see this bus company, just run away. Trains are more expensive than buses but also more comfortable and more safe. The easier way is to book with your hotel (of course they'll charged you with a commission but you'll definitely save time). Obviously I tried the train when I was in Vietnam, to go from Hoi An (Danang) to Hué. No train station in Hoi An so you have to book a taxi or shuttle bus first to go from Hoi An to Danang (around 45 min to 1 hour). This journey is apparently most beautiful by train cause the train runs along the coast and offers you a specatcular scenic view (beaches, rice terrace, mountains). Tips : don't choose the bed on the top (no space at all). Tips : if you book a sleeping train (which runs during daytime as well) and if you can choose your place, try to avoid the bed on top! There are not many space, you can even not just sit on your bed. I didn't have choice on my side, all the others bed were already booked. I hope this post could have helped you about the different transportation in Vietnam.